Handling inbound calls from US and resolving customer grievances related to technical issues. Willingness to work in US shifts. 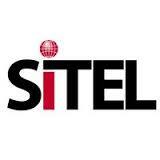 Sitel is a telemarketing and outsourcing business headquartered in Nashville, Tennessee. It maintains 108 sites in 21 countries. Prior to its acquisition by ClientLogic, described below, it had 70 call centers in 25 countries and over 30,000 employees. It maintains offices in its previous headquarters location of Omaha, Nebraska but its headquarters was moved to ClientLogic's headquarters in Nashville.